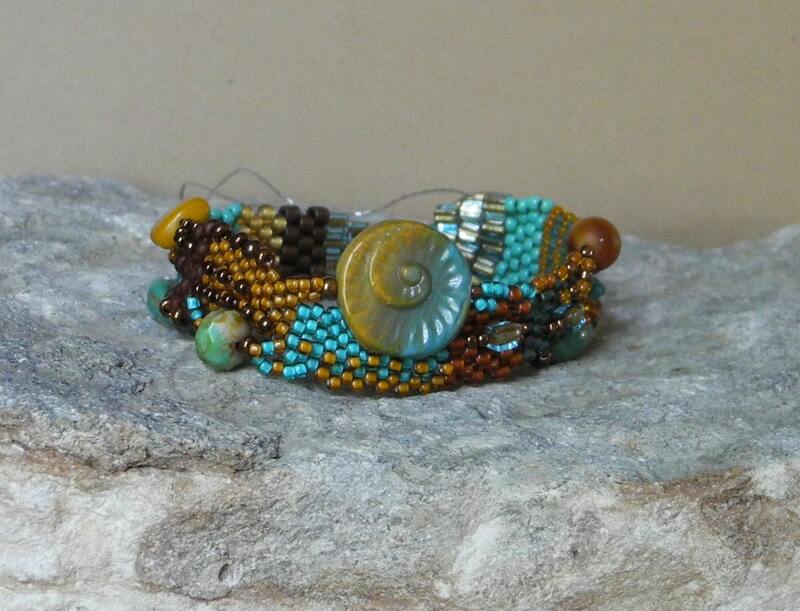 This week Cheri of From Out Of The Cracks is giving away this gorgeous free form peyote stitch bracelet. Free form peyote stitch bracelets spark the spirit and capture your attention! The bracelets are original, unique and would be a great accessory for the eclectically conscious women. It’s a passion working with seed beads, using a needle and thread to create something wonderful, one bead at a time. There are no actual patterns, it all happens rather organically and color drives the whole process. Harmony is something that pleases the eye. The bracelet engages you and creates an inner sense of balance and order with your visual experience. 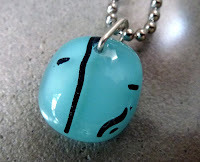 This bracelet is 3/4” wide at the widest point and 7 1/2” long. It will best fit wrists between 6 1/4 ” to 7 1/4”. I use double thread when stitching together these bracelets to reinforce its construction. Visit Cheri's shop, pick your favorite item and leave a comment on this post about it. 7. Follow Cheri's blog From Out Of The Cracks. Leave a comment here letting us know you are a follower. 8. Follow outofthecracks on Twitter. Comment back here with your Twitter link. Existing followers just leave your Twitter link here. 9. Become Cheri's Facebook Fan. Comment back here with your Facebook name. Existing fans just leave your Facebook name here. Contest ends Saturday, September 10th, at 12:00 noon Central. One winner will be chosen by Random.org. Good luck! It's State Fair time, and we all know what that means: The end (of summer) is near! 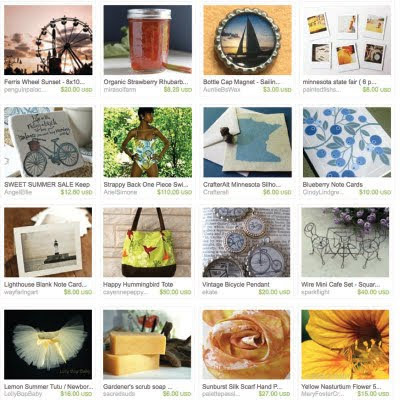 HandmadeMN Fall Market - Giveaway Baskets and Swag Bags Are Back! HandmadeMN is excited to announce that we have scheduled our HandmadeFall Market on October 22 at the Ballentine VFW (2916 Lyndale Ave S) in Minneapolis from 10:00 am - 5:00 pm. Our Gift Baskets and Swag Bags will be back too!! Two, yes 2, lucky visitors will be the recipients of our Gift Baskets! These contain many handmade products that have been generously donated by our HandmadeMN members and will be worth about $150 each. To qualify, all you need to do is to have your HandmadeMN Passport stamped by 3 vendors upstairs and 3 vendors downstairs - no purchase necessary. Although I highly suspect you won't be able to avoid the temptation to buy something at the market! Additionally, the first 25 visitors to the market will receive Swag Bags that will be filled with even more handmade product from our HandmadeMN members! At our last market, we had shoppers lined up at both the front door and the back door well before opening in hopes of snagging one. People were absolutely ecstatic about the contents! So, what might you find in your Gift Basket or your Swag Bag? Here are some possibilities as the donations from our team members are already rolling in! Cindy Lindgren has donated boxed card sets and individual cards for the baskets and swag bags. Wouldn't you love to have a set of these for the upcoming holidays? Take a look at this donation from Christy of RedShoes26design. Will you be one of the lucky recipients of these fabulous Spoonbridge and Cherry Sculpture cards? Looking for a bit of Halloween kitchen decor? Look no further than these hand-chenilled potholders from Sharon of GrandmasCraftGarden! So mark your calendars! Watch our blog for more Giveaway Basket and Swag Basket features. Hope to see you on October 22! This week Adrienne of Ariel Simone is giving away this fabulous Peasant Sleeved Dress with Zipper Detail and Pockets. Peasant Sleeved Dress with Zipper Detail, and Pockets: This provincial inspired dress is a nice addition to any wardrobe. The generous sleeves look great with the gathered skirt. The fabric in this dress gives a comfortable, rustic feel. The zipper details around the neckline are an adorable and trendy addition, while the bodice has a wonderfully fitted shape. There are also large pockets hidden in the pleated circle skirt that can hold many items without making the skirt look weighed down. This smock features a demure neckline with zipper detaining down the front. There is the illusion that the zipper is unzipping the bodice of this dress creating a modern, fresh take on this peasant dud. The zipper actually is stitched in place and the slit dips 6 inches from the collarbone. The wonderful sleeves are fitted to the elbow and billow out through the wrist where they are gathered. The back of this dress dips down to the mid back so you can still wear any bra and the straps won’t show. The pleated circle skirt has pockets and the hem is 3 inches above the knee. Visit Adrienne's shop, pick your favorite item and leave a comment on this post about it. 7. Follow Adrienne's blog Ariel Simone. Leave a comment here letting us know you are a follower. 8. Follow ArielSimoneMN on Twitter. Comment back here with your Twitter link. Existing followers just leave your Twitter link here. 9. Become Adrienne's Facebook Fan. Comment back here with your Facebook name. Existing fans just leave your Facebook name here. Contest ends Saturday, September 3rd, at 12:00 noon Central. One winner will be chosen by Random.org. Good luck! HandmadeMN members are not eligible to win. This week Marsha of Dovecotedesign is giving away these teardrop earrings. 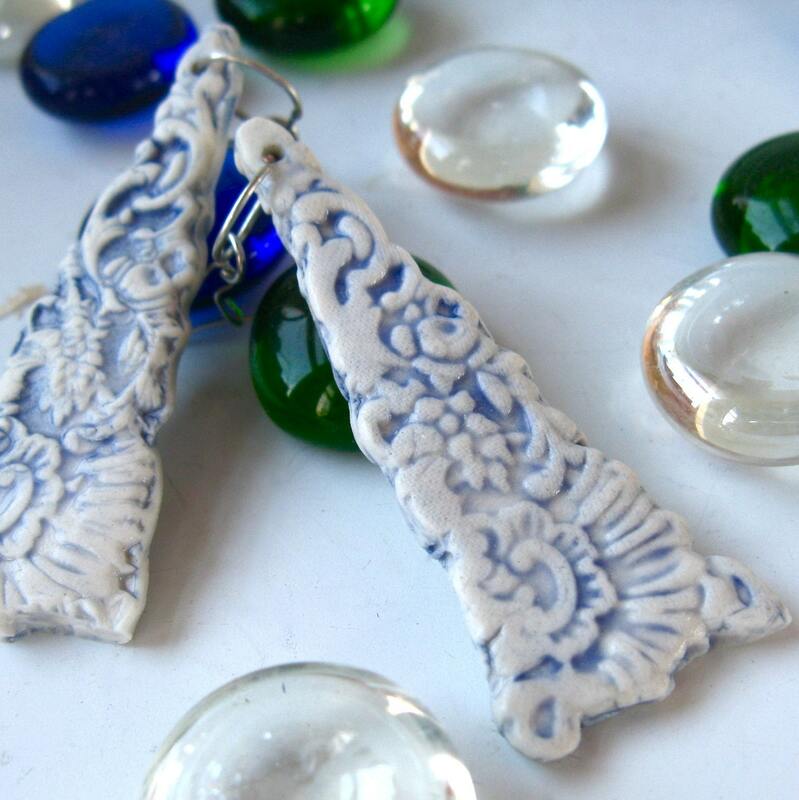 Porcelain earrings featuring an intricate floral design created from Marsha's own handmade mold. They are glazed and accented in a cornflower blue, using a multi-step, time intensive layering process which creates a vintage look and feel. The earrings hang about two inches from the earwire. 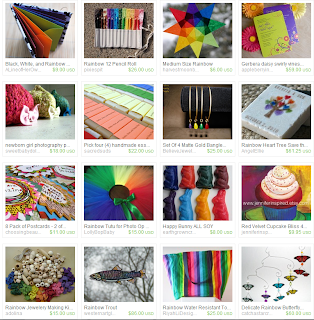 Visit Marsha's shop, pick your favorite item and leave a comment on this post about it. Contest ends Saturday, August 27th, at 12:00 noon Central. One winner will be chosen by Random.org. 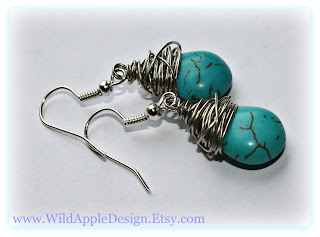 This week Jenn of Wild Apple Design is giving away these turquoise earrings. These adorable wire wrapped turquoise teardrop earrings are made with colored magnesite beads and "messy" wrapped with silver wire and hang from silver French hooks. 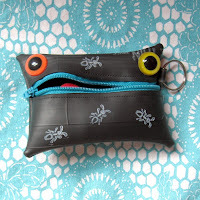 Jenn is including rubber clutches for comfort and security. 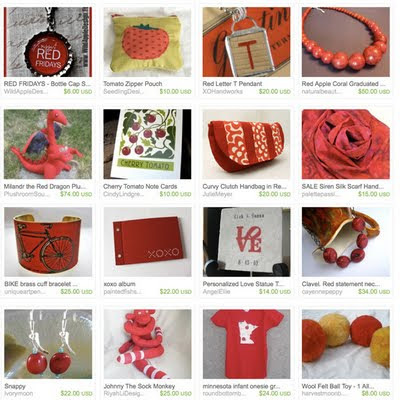 Visit Wild Apple Design and pick your favorite item and leave a comment on this post about it. (Scroll to bottom of post and click on Comments). 5. Follow Jenn's blog, Through the Grapevine. If you are already a follower, leave a comment anyway, as each comment is an entry. 7. 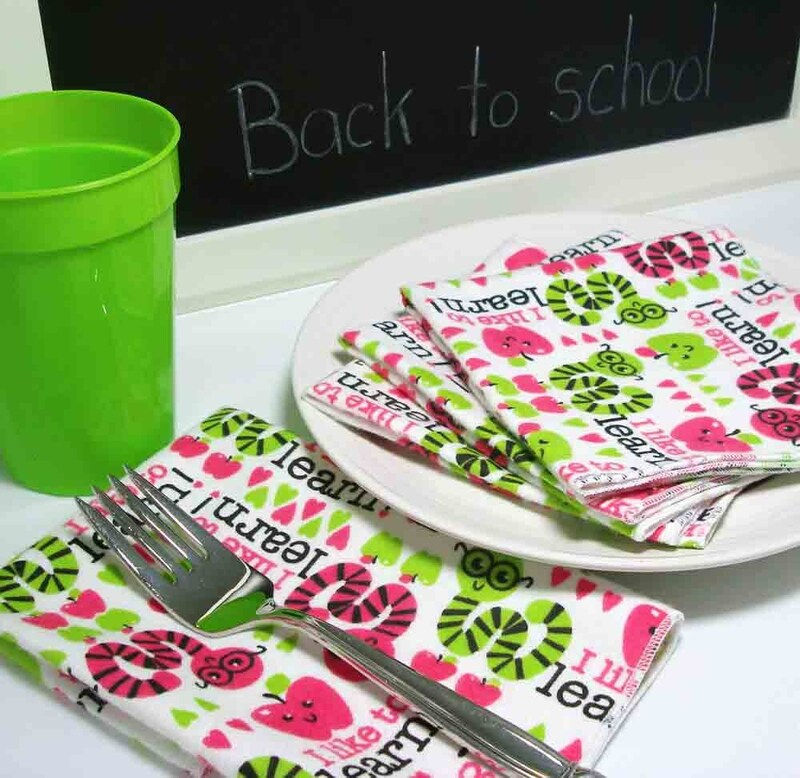 Follow Wild Apple Design on Twitter. Comment back here with your Twitter link. Existing followers just leave your Twitter link here. 9. 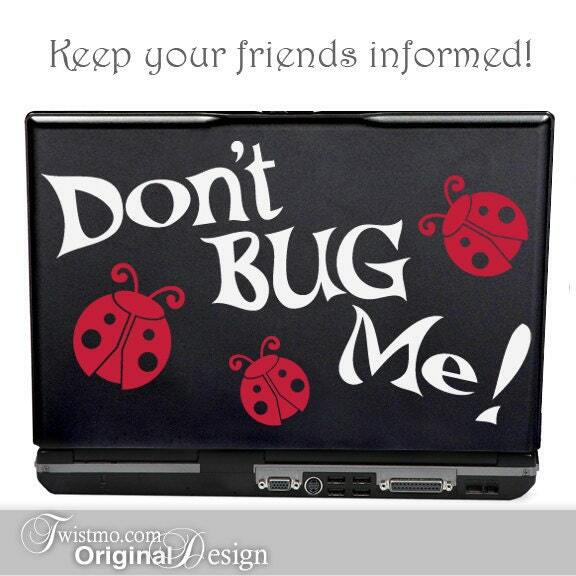 Become a Facebook Fan of Wild Apple Design. Comment back here with your Facebook name. Existing fans just leave your Facebook name here. Contest ends Saturday, August 20, 2011, at 12:00 noon Central. One winner will be chosen by Random.org. This month's challenge theme was "Ohhh, bug!". Check out the great entries below, then scroll all the way to the bottom to vote for your favorite! The winner will receive an advertising spot on our blog.